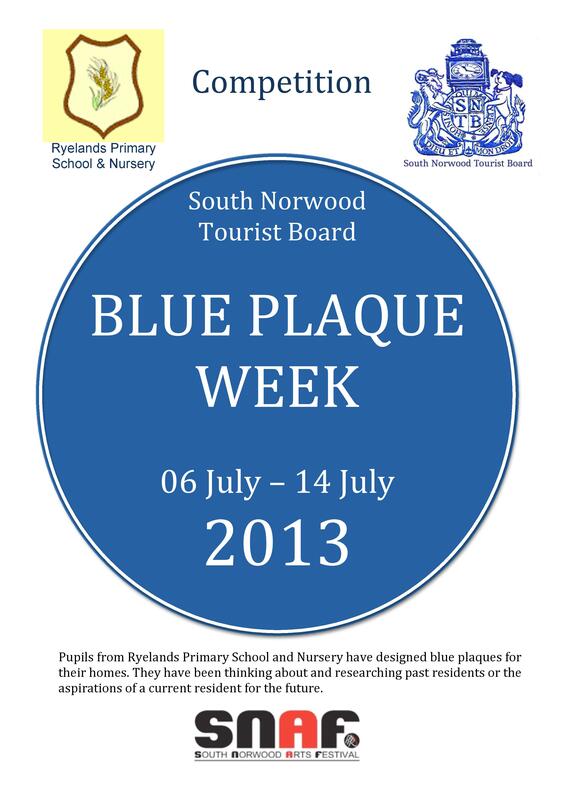 SOUTH NORWOOD HAS THE MOST BLUE PLAQUES IN THE COUNTRY. 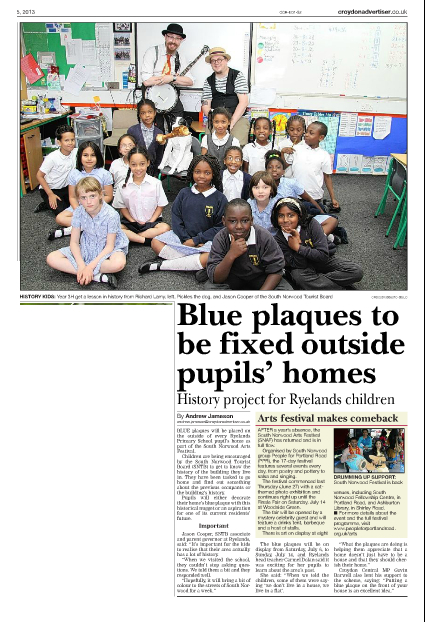 Following our successful workshops at Ryelands Primary School and Nursery, all the pupils will be displaying their blue plaque outside their homes. See todays advertiser for details. The plaques will display either a name of historical significance to the home or area, or aspirations of the person living there. I’m sure this will make South Norwood the most blue plaqued area in the country. What we need you to do is see how many you can spot, and see which one that you find the most fascinating. There are prizes to be won, mainly for the children, but there is a meal for two at the Gold Coast to the person who spots the most. The Plaques will be on display from Saturday, with the competition draw taking place at the SNAF Finale Fair. 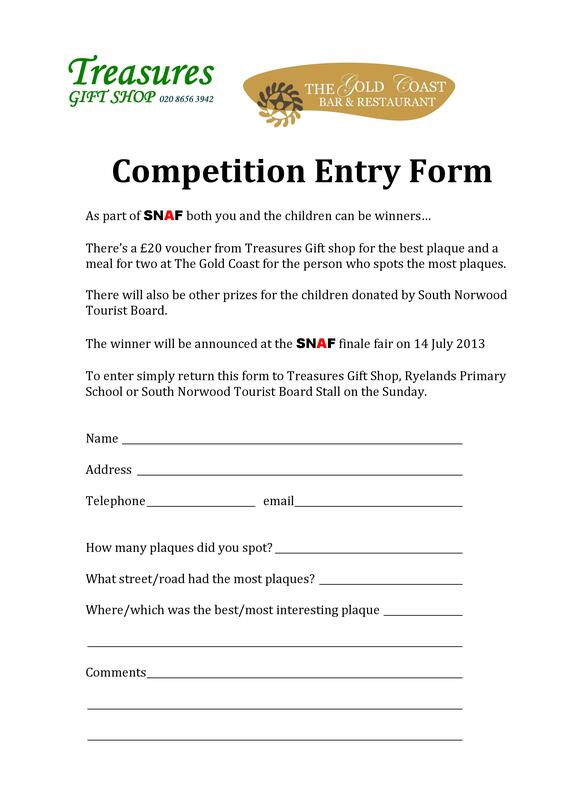 Entry forms can be downloaded from here, emailed to you, or picked up from Treasures Gift Shop.